We had been on a lovely holiday to Sidmouth in Devon in late August 2016 which we did as a family every year. While we were away Kevin said he had terrible back pains and he could hardly stand but he put it down to lifting our little grandson. He insisted on driving back home to the Midlands joking that his driving would still be better than mine even with his bad back! When we arrived home the back pain had resolved and he felt okay, then within a week he started itching terribly all over his body and thought he had caught something out of the sea! Our GP gave him some antihistamines but they never worked. He then went off his food, being very selective, but I cooked whatever he fancied. Then my sons and myself noticed that he was becoming jaundiced and he said his stools and urine had changed colour. We went to see the GP together and he was sent for several scans & referred to Mr Cameron at the QMC in Nottingham. Sadly it was too late to help my husband. He had a PTC procedure but afterwards his organs began to fail and on 10th November 2016 he lost his battle with CC aged 58 years. It has left a huge hole in our lives. Kevin worked hard and hardly had a day off sick from work. He was an Engineer and so very bright, much cleverer than me! He was a family man who played cricket for years and latterly enjoyed crown green bowls. George, our Grandson, and Grandad Kevin were best friends. Wherever Grandad went so did George. 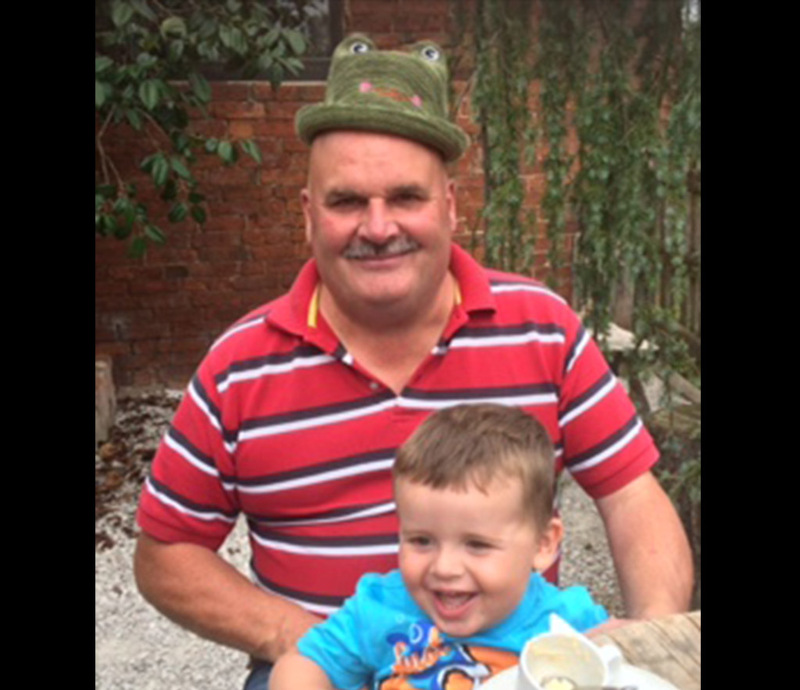 George was almost 3 when Grandad died but we do all we can to help keep his memory alive. He believes he is the brightest star and of course he is to all of us.